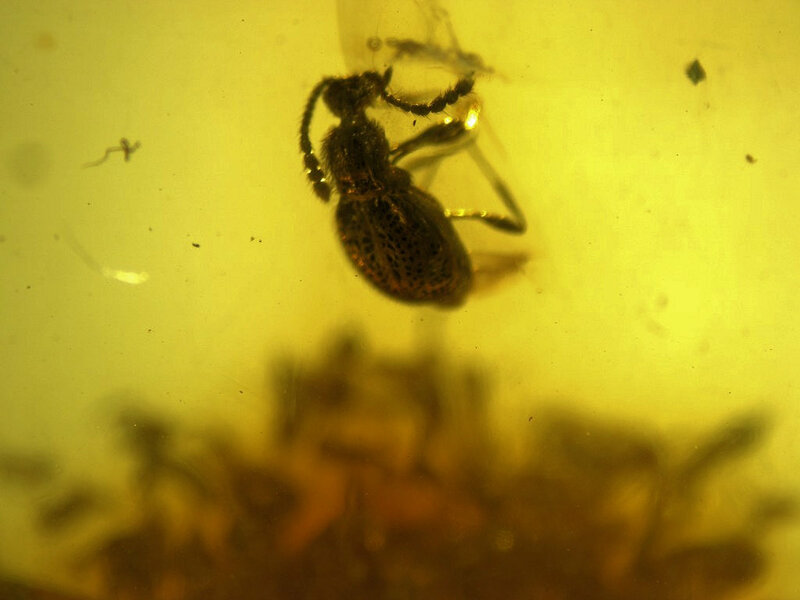 All specimens on this page are Baltic amber and about 40 million years old. They are all done individually by a professional craftsman in Lithuania. He does superb work! 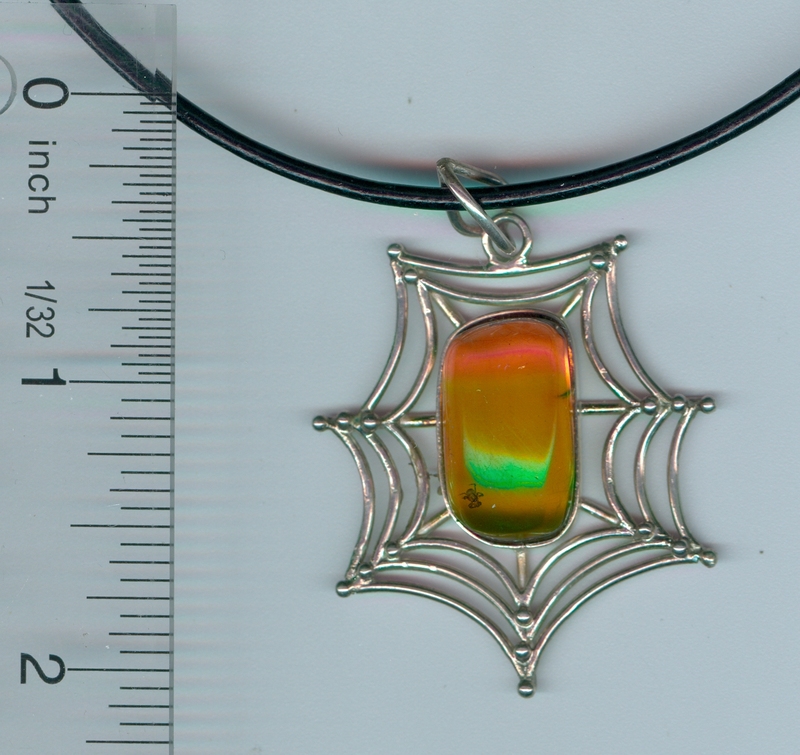 PLEASE NOTE: The pendants below are a fairly good sized. 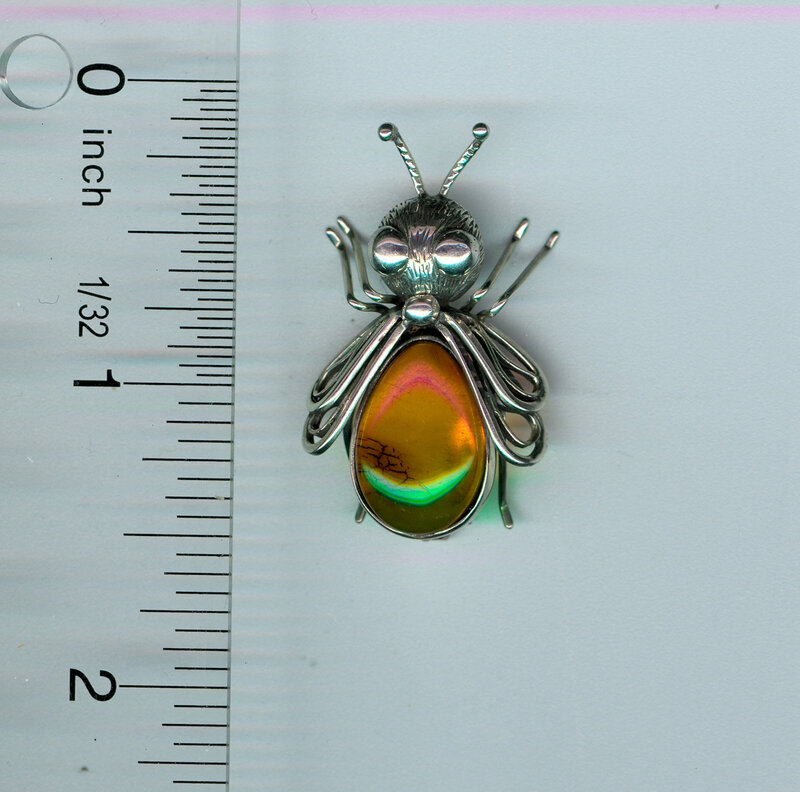 In almost every case the insect is small. 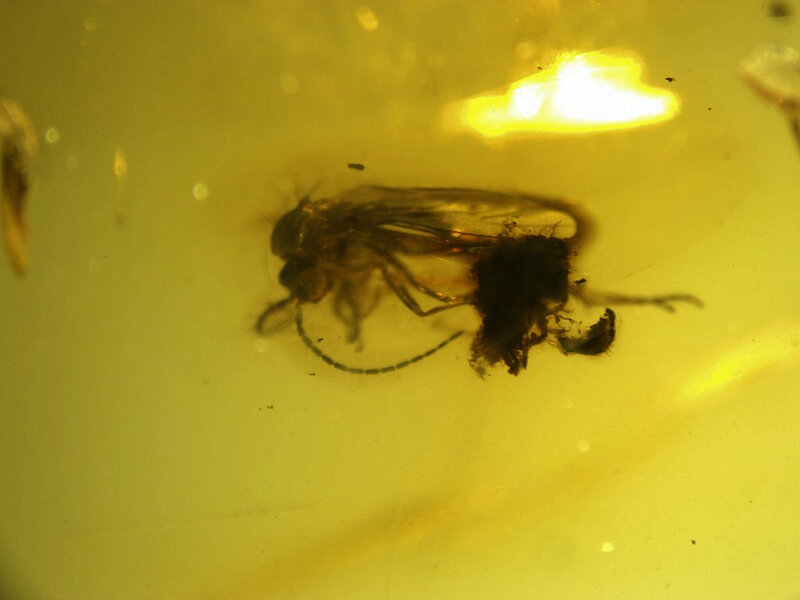 Since we normally photograph the insects under a microscope, it can be misleading when you see the image of the insect versus the reality of the actual size. Please keep this in mind as you look through the images and the scanned image. We just picked up a large hand full of these small heart pendants at a great price and am passing that on to you (really). Take a look at the size or see this larger picture. 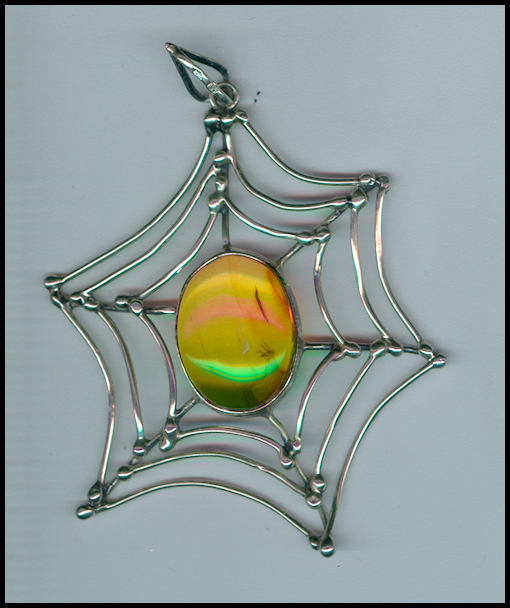 We are offering these at only $6.00 each - you cannot select a particular one, but it will be the luck of the draw. 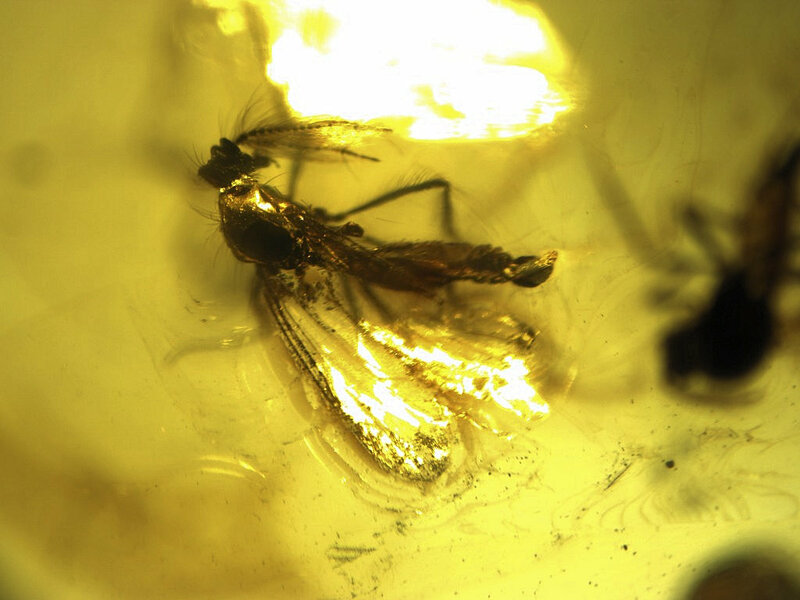 A beautiful piece that has a fly, Brachycera, a dark winged fungus gnat, Sciaridae and even a dance fly, Empididae - quite good. We have picked up a very small number of broaches. This is the 1st of 3. 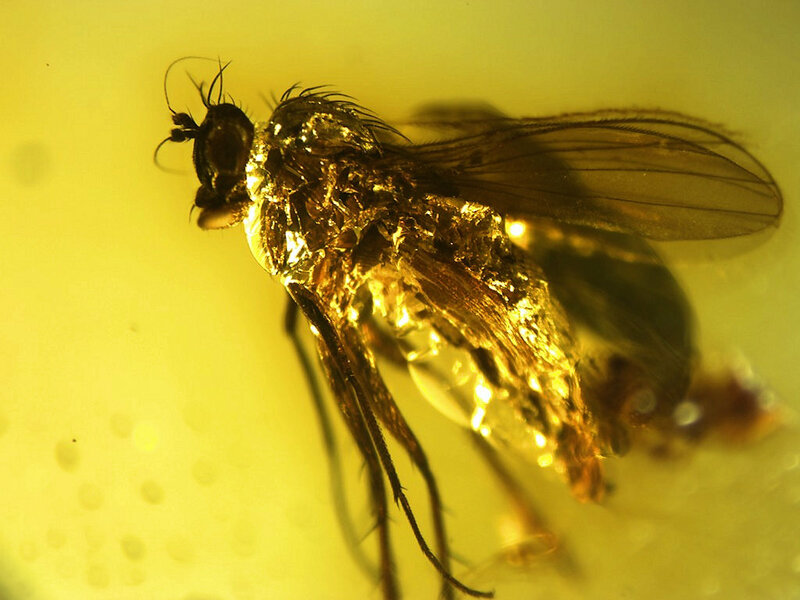 As you can see this is a fly. It has the clasp on the back side. Very impressive (as they all are). Make sure you look at the 'scanned image' to see the size. This beauty is unusual. 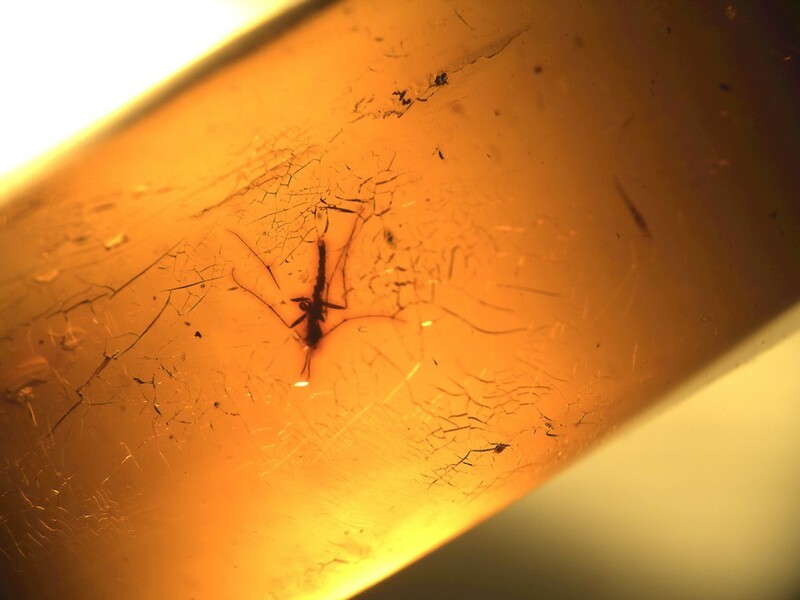 It contains a large coprolite (fossilized poop). 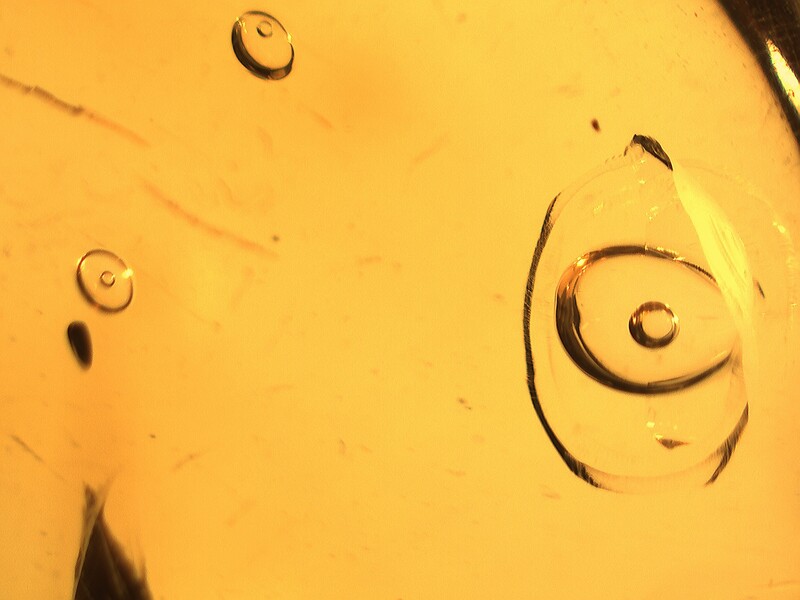 My guess (and this is a guess) is that it is from a good sized snail. 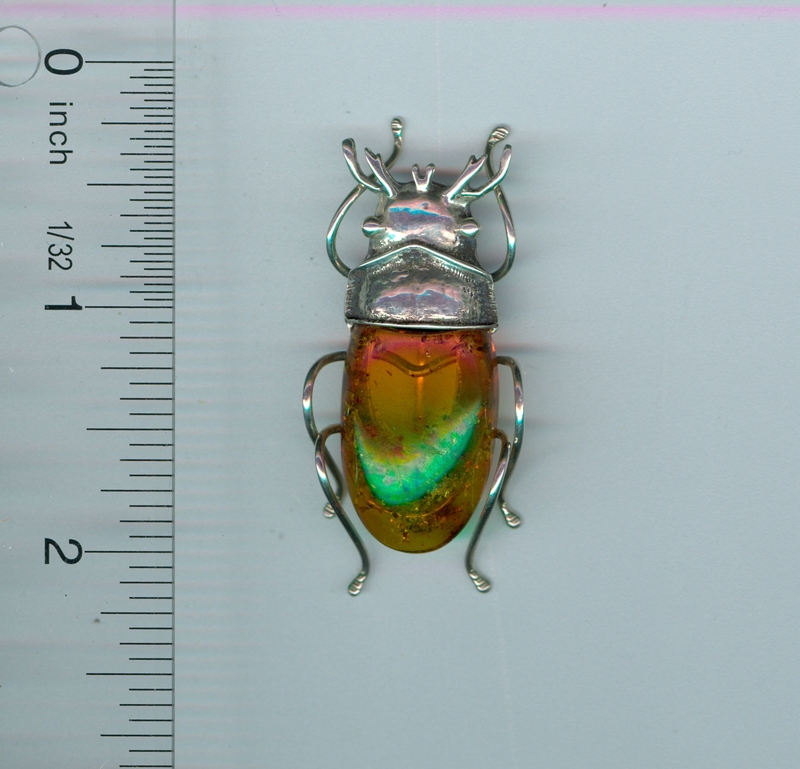 Very unusual - in fact I have never seen one like this made into a pendant - just cool. 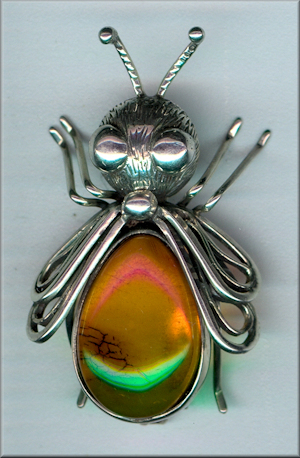 Good pendant with a fly, Diptera, Brachycera. One side of the fly is white and the other side is 'normal'. Good details on this gal. We picked up 8 perfect pieces of Dominican amber that are absolutely perfect to have made into a pendant. In fact, we purchased these specifically to sell as "to be made" items. While we do not do custom work, many jewelers can wrap a silver or gold band around these beauties and you will have a truly special pendant. The dark areas in this piece are bits of wood and other forest ground debris. This weighs 38.6 grams. 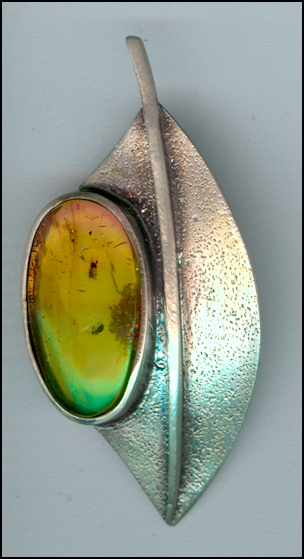 I am not quite sure if this is a planthopper or not - but I am sure it is a beautiful pendant. 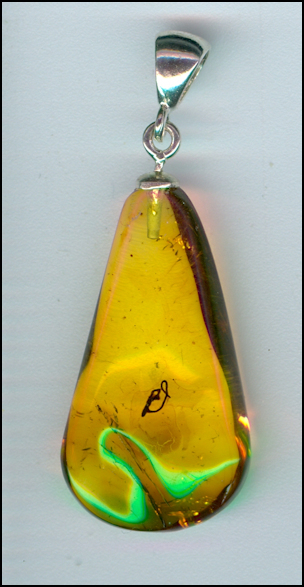 Nice long pendant that has one midges, Diptera, Chironomidae. 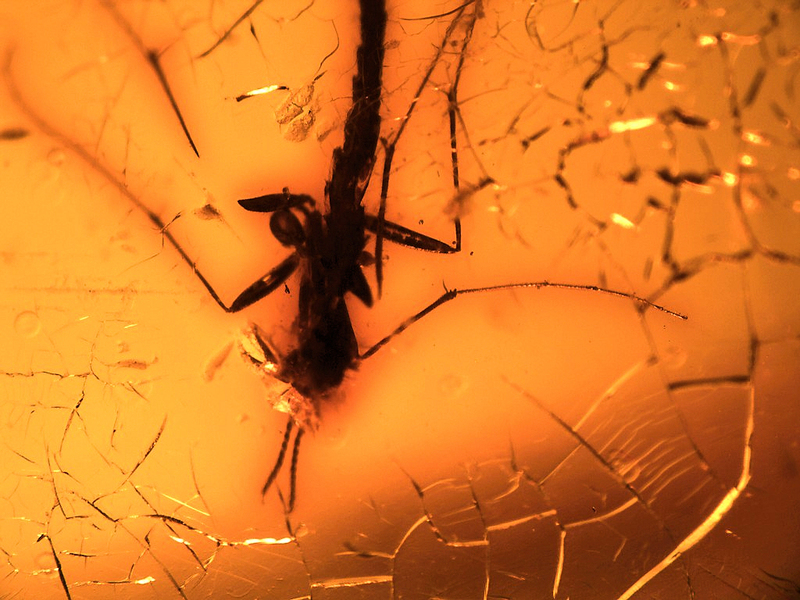 I do believe the other animal is a dark winged fungus gnat, Sciaridae. 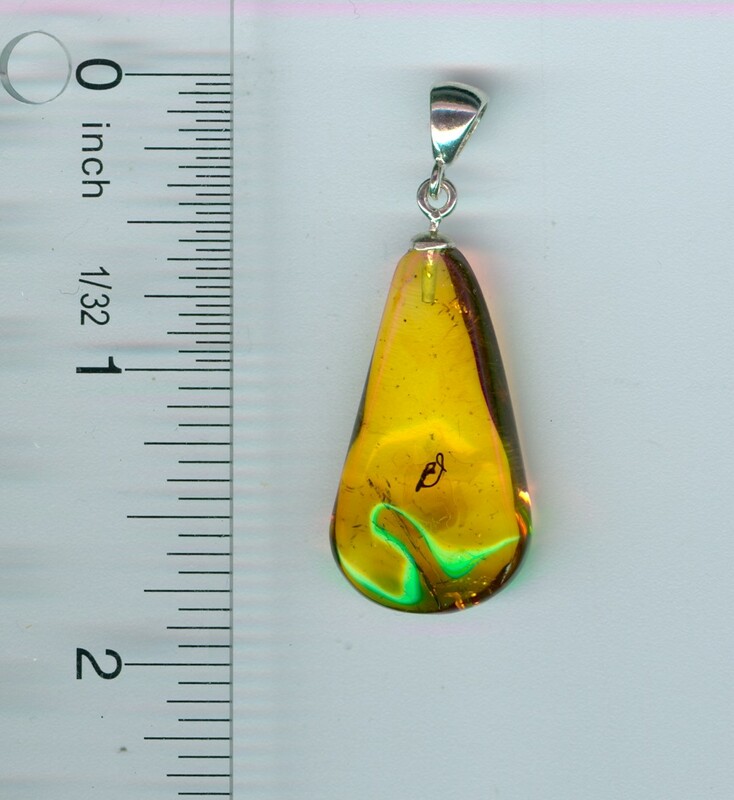 They are both small and near the bottom of the pendant. 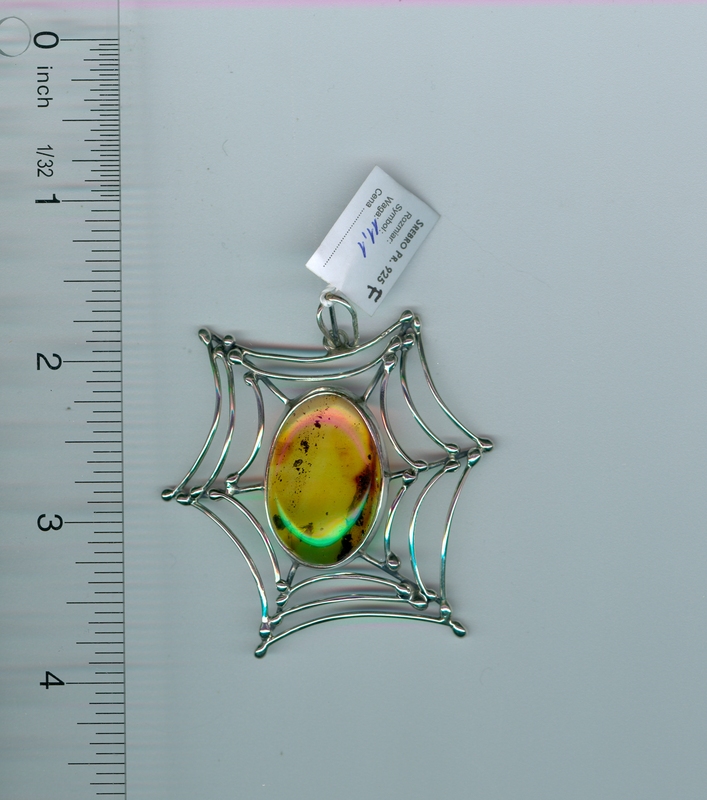 This is a gold plated pendant. 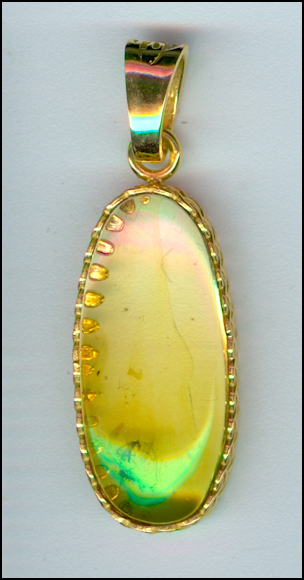 Beautiful gold plated oval pendant. There is a very small caddis fly, Trichoptera and a moth fly. The moth fly is just a bit smaller than the caddis fly. 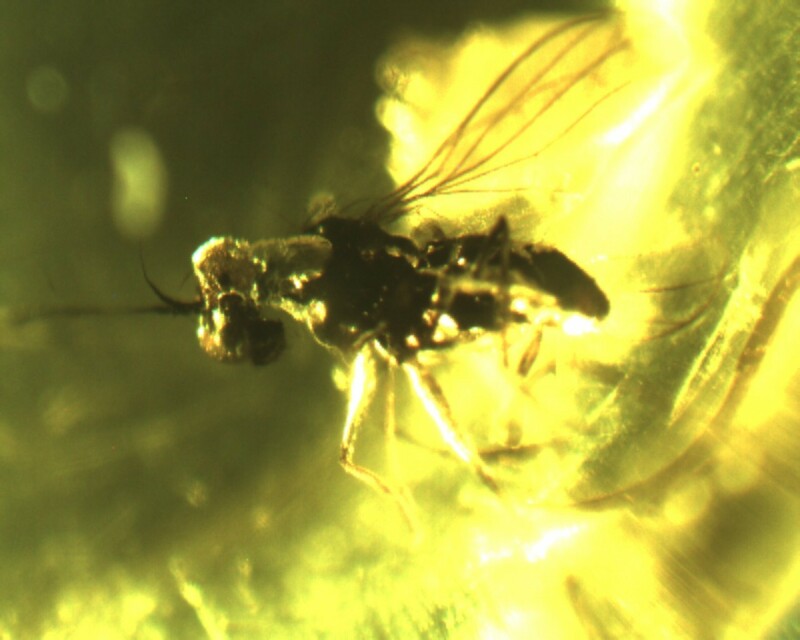 There is also a very small parasitic wasp. 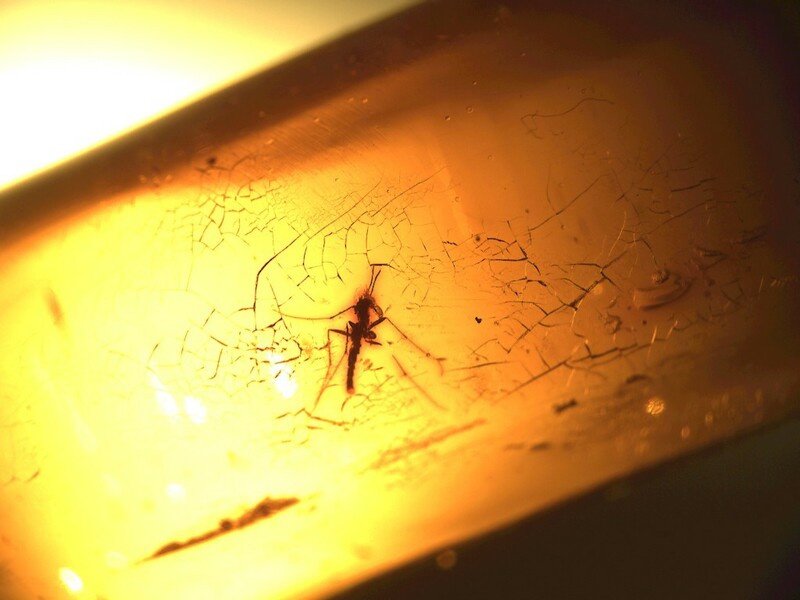 The amber is lovely. 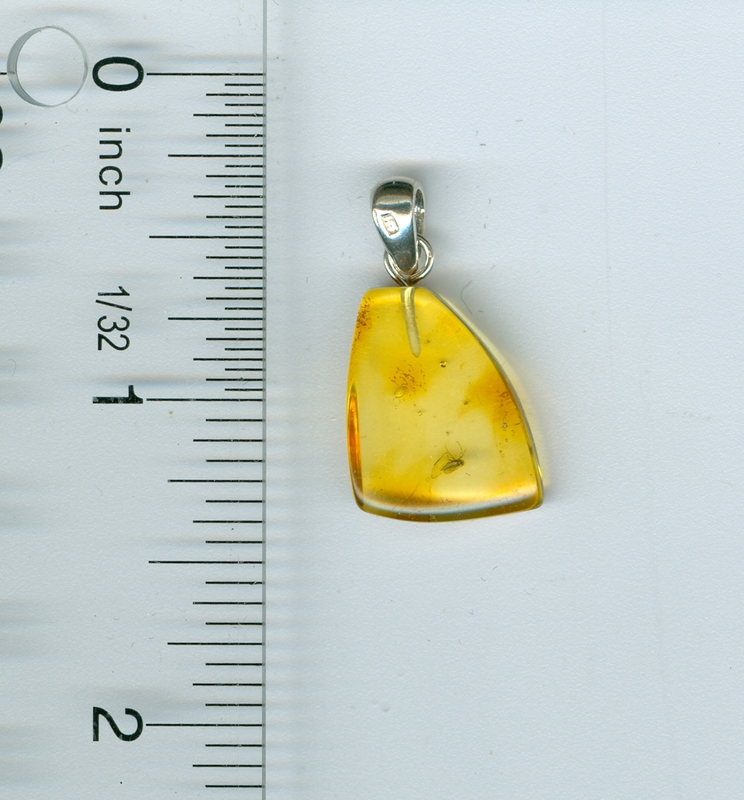 We picked up 8 perfect pieces of Dominican amber that are absolutely perfect to have made into a pendant. In fact, we purchased these specifically to sell as "to be made" items. 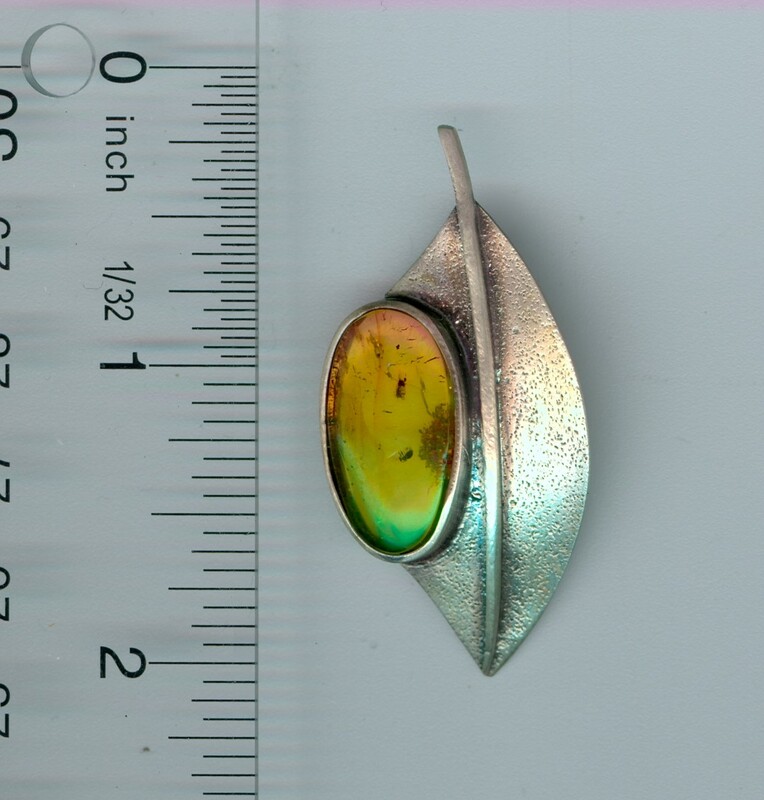 While we do not do custom work, many jewelers can wrap a silver or gold band around these beauties and you will have a truly special pendant. This weighs 9.8 grams . Unusual design. 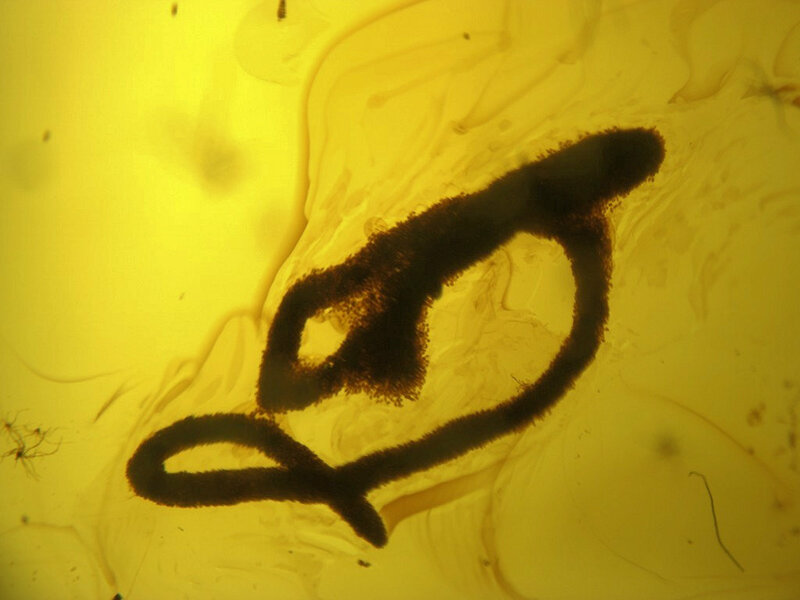 This is a leaf with the amber to one side. The back has a loop for the chain. 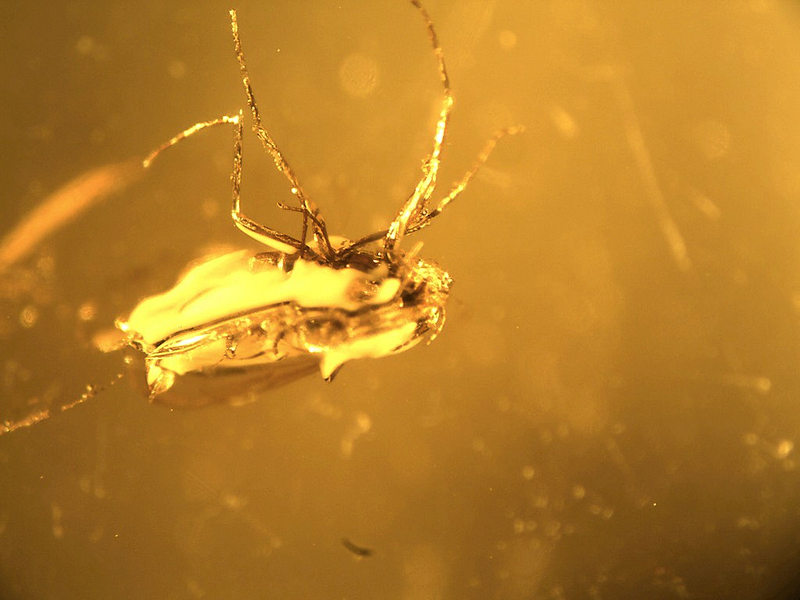 There is a nice antlike like stone beetle, Coleoptera, Scydmaenidae and a midge, Chironomidae. 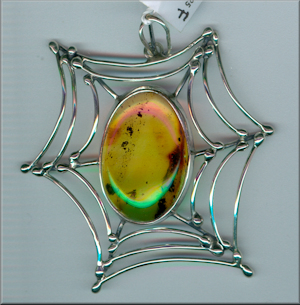 I like the shape of this pendant. 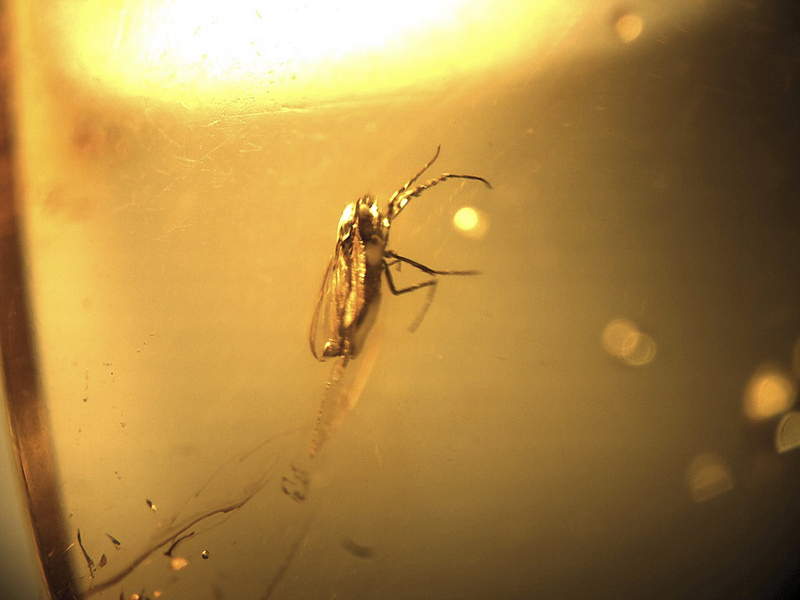 It has two true midges, Diptera, Chironomidae and what may be a small caddis fly, Trichoptera. 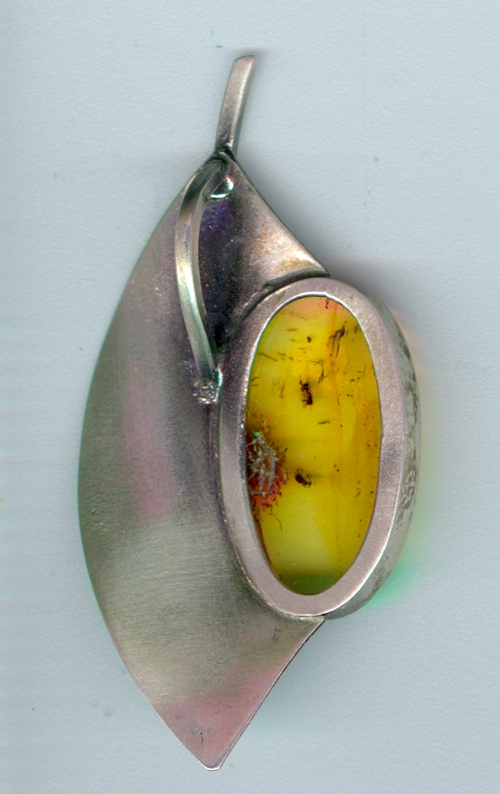 3.5 x 2.5 inches in 925 silver. 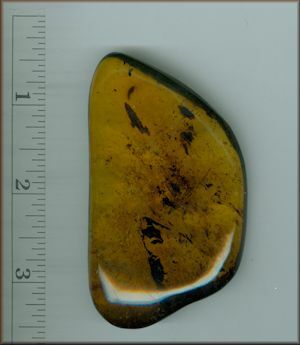 This Chiapas amber is just beautiful. 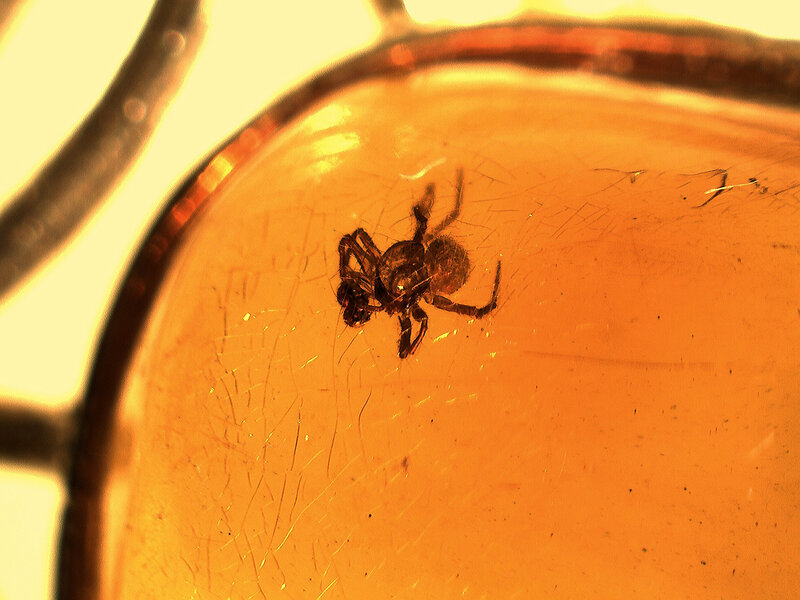 There are four gnats inside the amber. Very clear, you can almost read through it. One of the nicest pieces we have seen that was do with hand work. 68.5 grams....impressive. We have picked up a very small number of broaches. This is the 1st of 3. 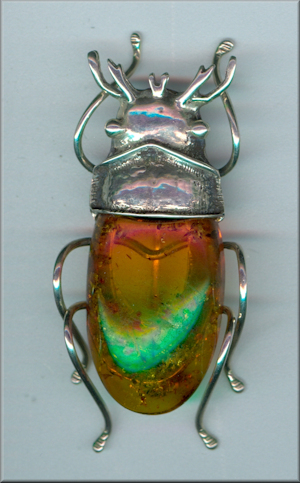 As you can see this is a beetle. 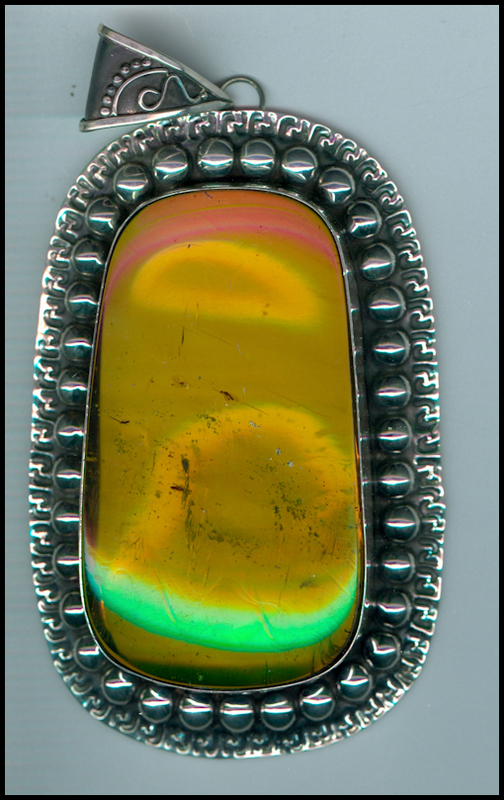 It has the clasp on the back side. Very impressive (as they all are). Make sure you look at the 'scanned image' to see the size. 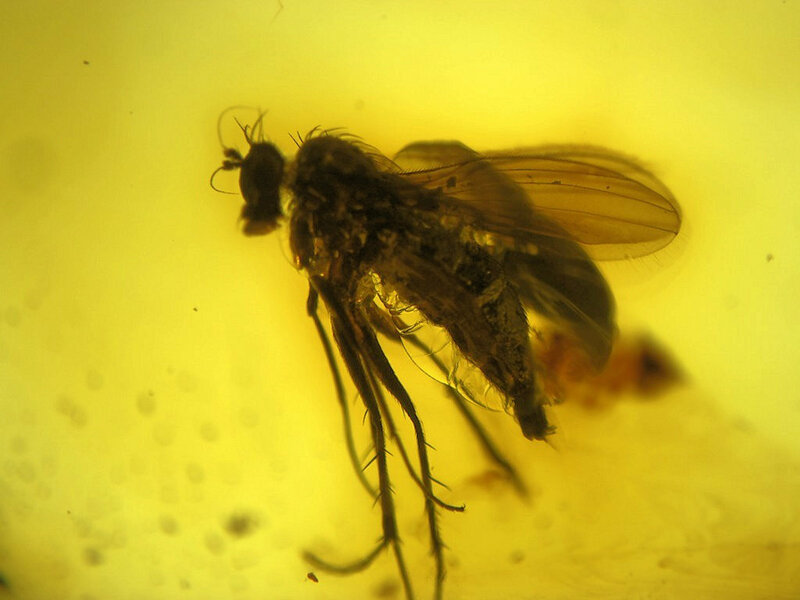 This has a small moth fly in it, Diptera, Psychodidae. 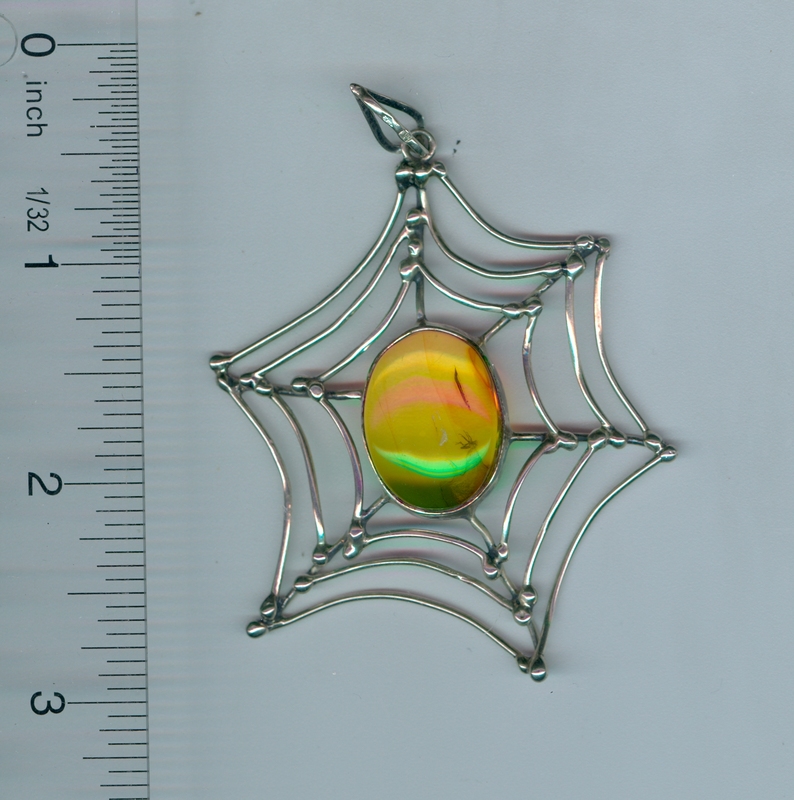 Also, but on the side, is a spider. 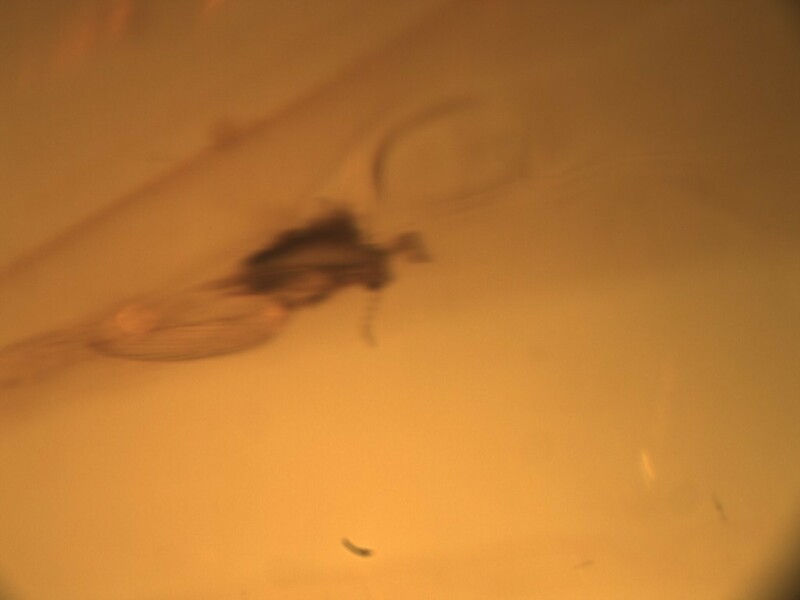 Very clear piece with a fly, Diptera, Nematocera near one side. Good piece. 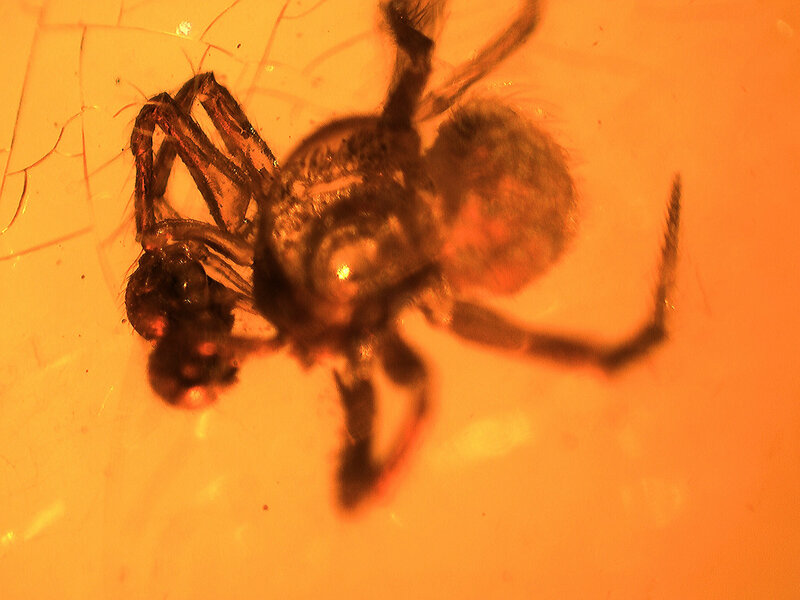 A real fly, it as if the fly was caught in the spider web. This is a pretty piece. I am not sure on this, I think there is a wasp here, but it might be an ant. Neat shape to this. 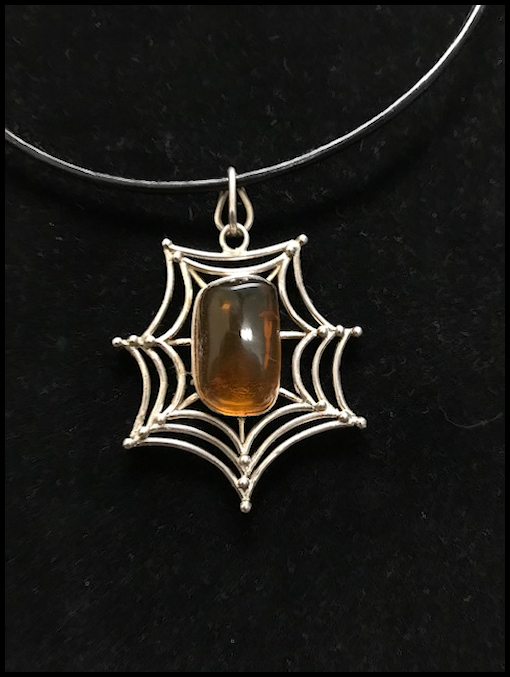 Here is another beautiful spider web of Baltic amber. 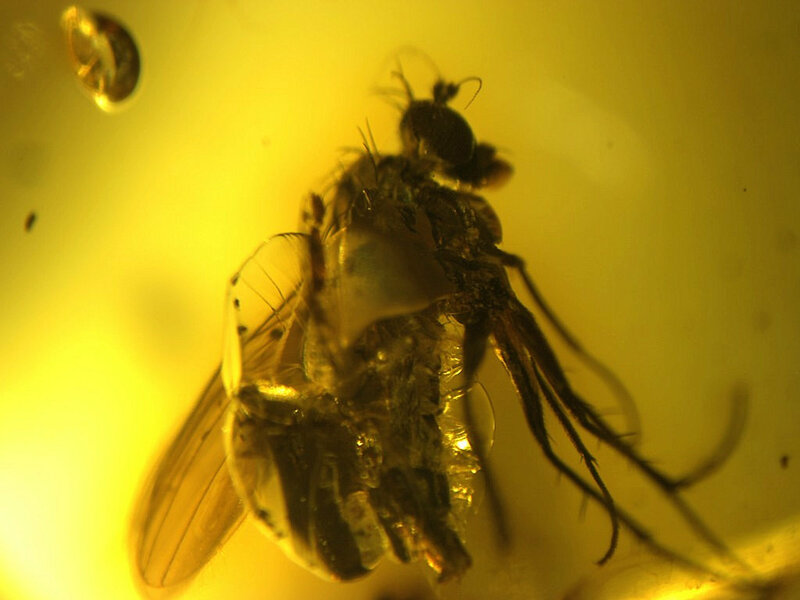 24 million years ago a nice biting midge that flew on to some sticky resin and never made it out. An impressive piece. Large, long and fairly thick, this is a show stopper. The top is pure 18K gold. 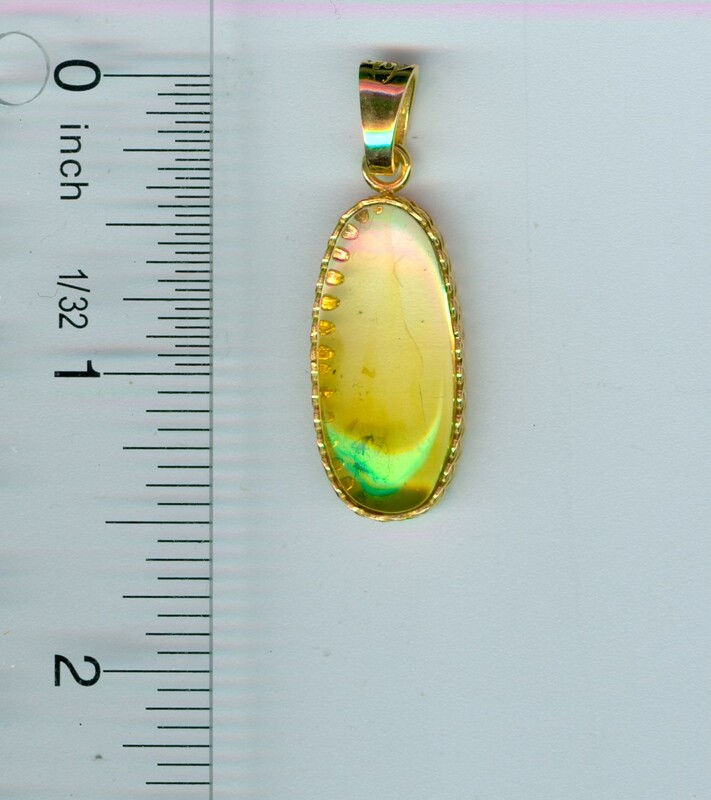 Quite a bit gold on this large pendant. 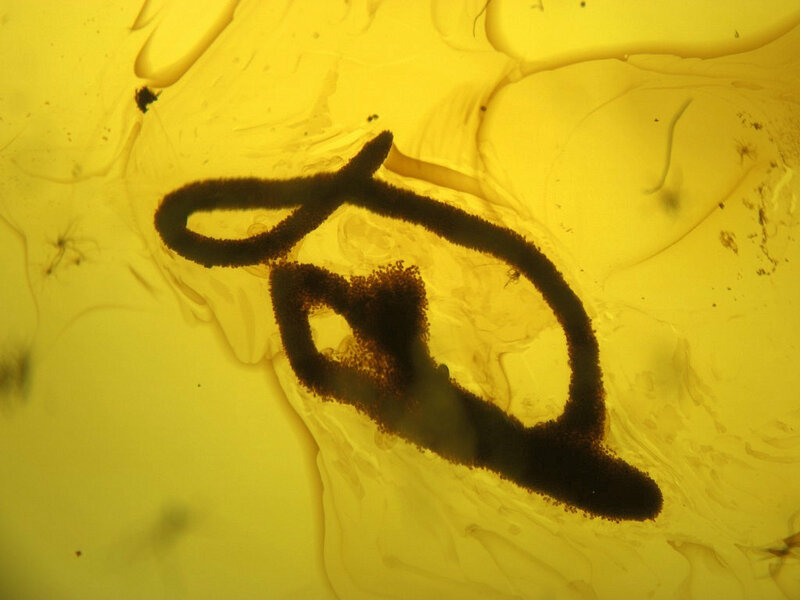 The is a small Nemtoceran in the piece, but it is not the animal you want this for....it is the shape and the gold on this beauty, just beautiful. 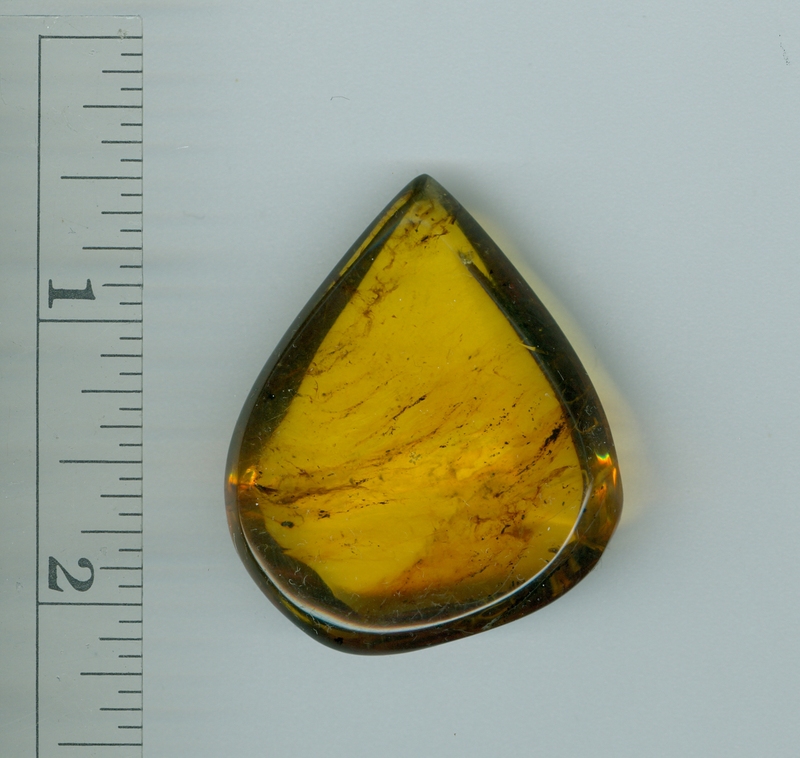 By the way, this is Dominican amber (impressive). 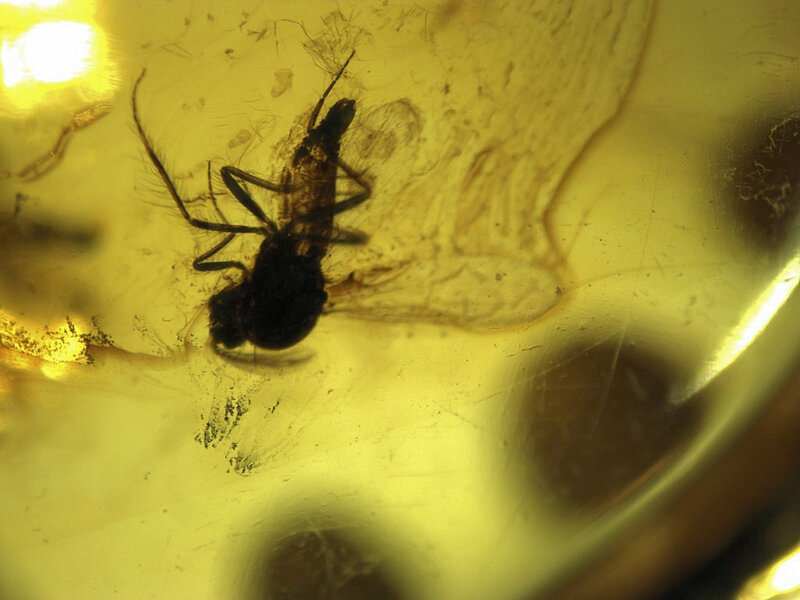 A female worker ant (Hymenoptera, Formicidae) and a moth fly are in this very clear, large piece of Baltic amber. There is a very small chip at the end of this piece. 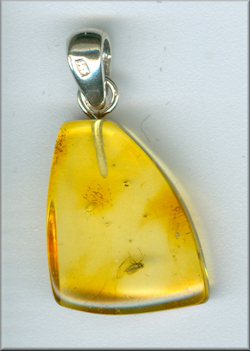 A great looking pendant of Baltic amber (as all the pendants on this page are). 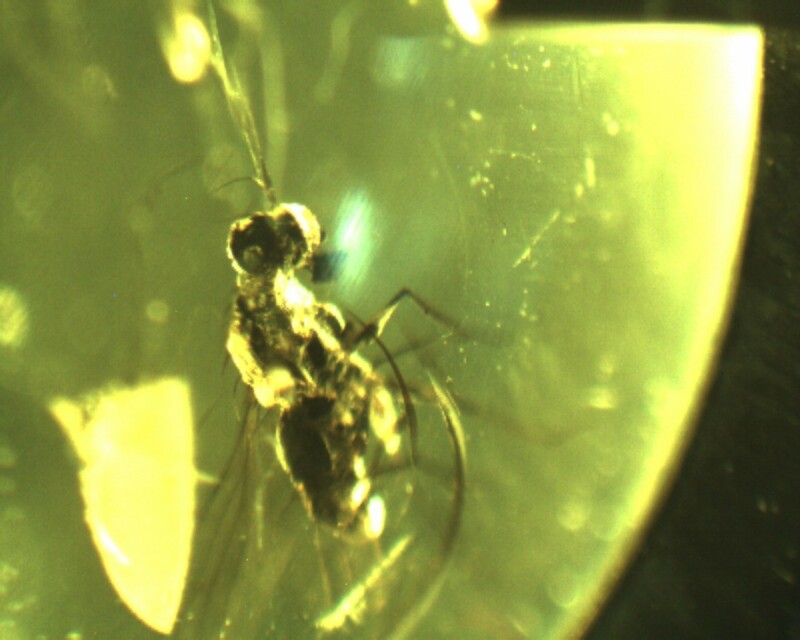 This does have a dark winged fungus gnat near one side - but the gnat is very small.